A short while ago gave us our first look at FX's hotly-anticipated vampire drama 'The Strain,' and so too has the day now afforded us another glimpse at FX's upcoming wares. Check out 'Sherlock' star Martin Freeman in the first official photos from FX's star-studded 'Fargo' TV series, executive produced by Joel and Ethan Cohen! The first photo from FX's all-new original crime story features Freeman's henpecked insurance salesman character Lester Nygaard (somewhat standing in for William H. Macy's similar character in the film) nursing a bashed up face in a hospital, wherein he meets with another character assessing the damage. 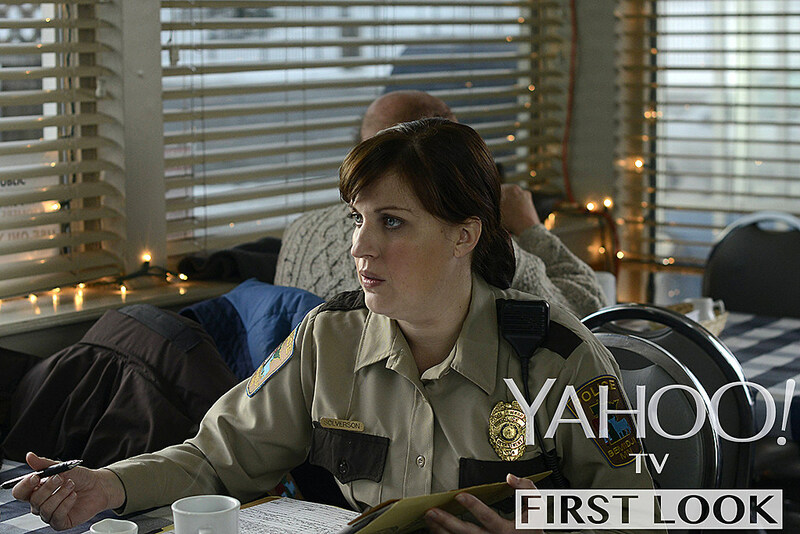 The second look at our new 'Fargo' features Allison Tolman as Bemidji, Minnesota Deputy Molly Solverson, the young, smart and ambitious officer second to Deputy Bill Olson ('Breaking Bad' star Bob Odenkirk). In addition, FX's 'Fargo' features Billy Bob Thornton as mysterious con man Lorne Malvo, while Colin Hanks will portray Duluth Police Deputy Gus Grimly, a single father who finds himself faced with a choice between his own personal safety and his police duties, along with ‘Always Sunny”s Glenn Howerton as ambitious personal trainer Don Chumph, ‘Private Practice”s Kate Walsh as Gina Hess, a former stripper raising twin teenagers, Oliver Platt as supermarket king Stavros Milos, Adam Goldberg as Fargo crime enforcer "Mr. Numbers," as well as roles for Joey King, Peter Breitmayer, Tom Musgrave, Josh Close and Russell Harvard. For those unaware, the original ‘Fargo’ told the story of pregnant police chief Marge Gunderson, tasked with traversing the snow-filled landscapes of Minnesota to solve a series of murders linked to the dirty dealings of an inept car salesman (Macy), as things slowly spiraled out of control. The film also featured ‘Boardwalk Empire”s Steve Buscemi, while McDormand won the Oscar for Best Actress, as did Joel and Ethan Coen for original screenplay. 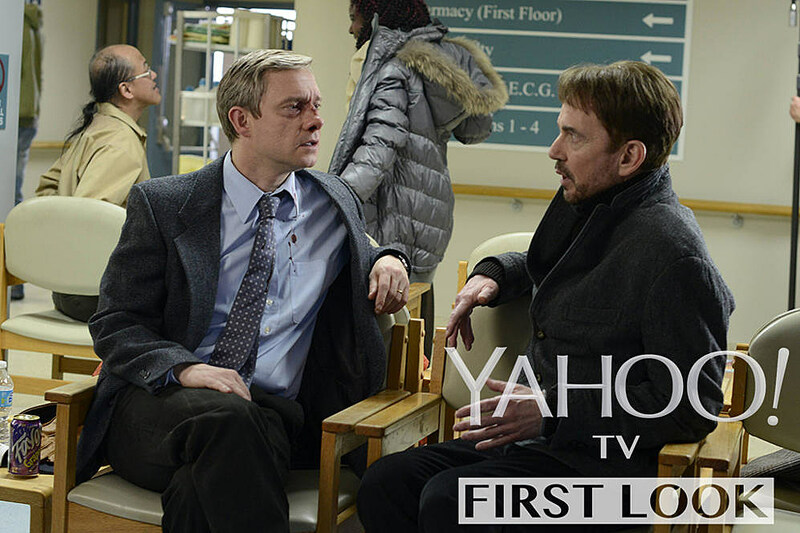 You can check out our first look at the 'Fargo' TV series in the YahooTV photos below, and tell us in the comments if you want to see when the event series drama premieres this spring!